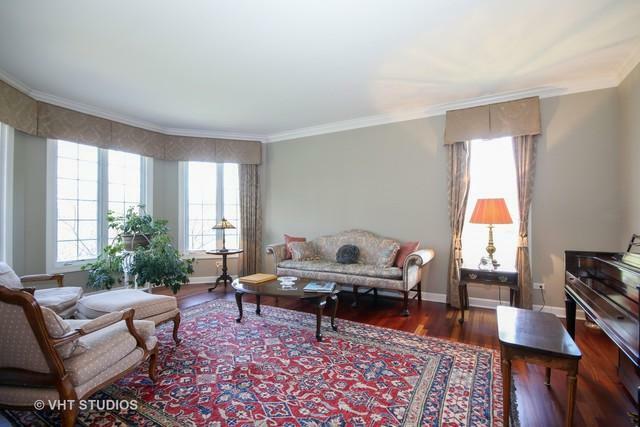 Enjoy sweeping nature views from each window of this beautifully maintained home (no utility lines). Privately set back on elevated 1.4 acre lot w/ invisible fence & natural drainage. 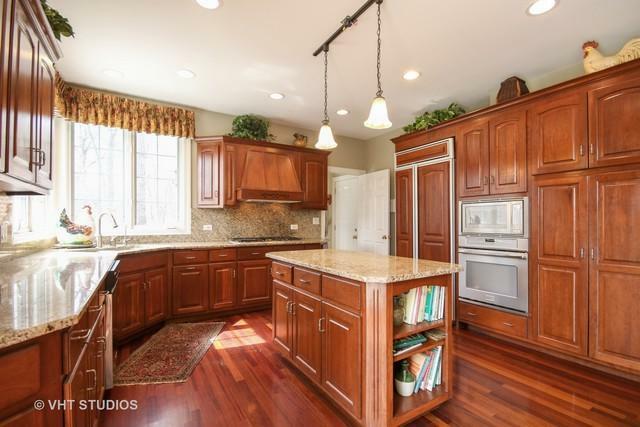 Sunny & bright open kitchen w/cherry cabinets, granite counters & island; large eat-in area. Laundry & mudroom adjacent. Family room w/2 story ceiling, wet bar, wb fireplace. 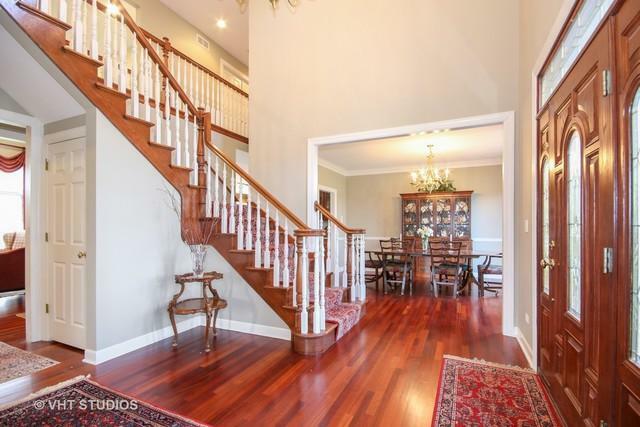 Formal Dining rm & Living rm w/crown molding. Brazilian cherry hdwd floors throughout. 4 BRs on 2nd level + 5th BR/office on 1st level. All BRs have ceiling fans. 3 linen closets, great storage. Master BR W/ trey ceiling, bath w/whirlpool tub, double bowl sinks, separate shower & bonus room. 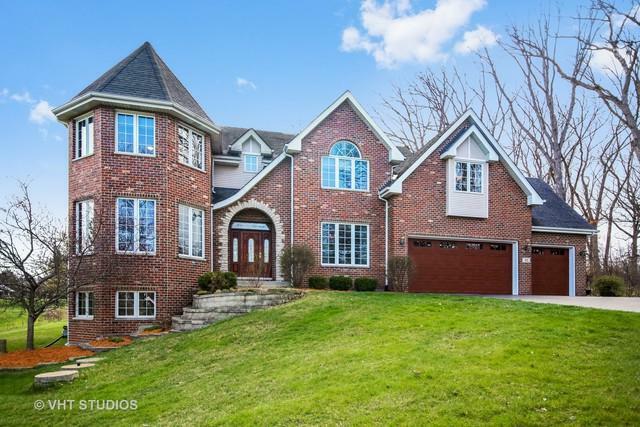 Huge finished walk out basement w/ Italian quarry tile flooring gets great natural light, w/wet bar, wb fireplace, full bath. Great for entertaining. Home has central vac, intercom system, gutter guards, sprinkler system. Xtra large 3 car garage w/ new doors & access for truck parking. Equestrian Estates offers 6 miles of scenic walking.